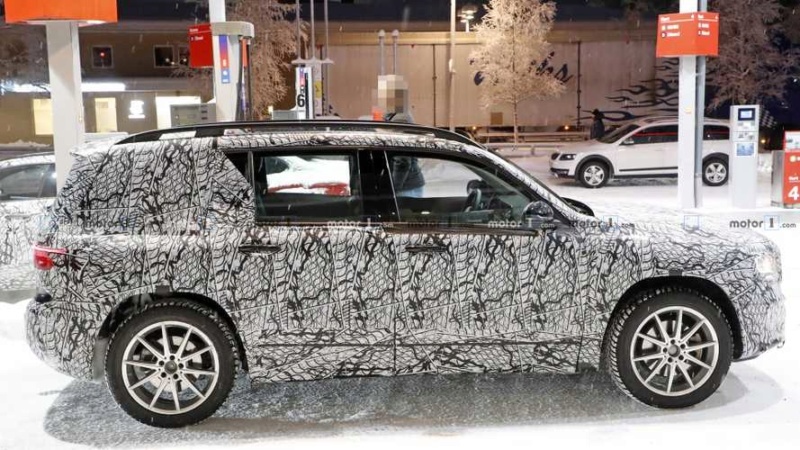 upcoming Mercedes-Benz GLB SUV will feature a pure-electric EQ B version alongside petrol, diesel and petrol-electric hybrid powertrains. The EQ B, sitting underneath the recently revealed EQ C, promises a range of up to 310 miles and will feature an aerodynamically optimised GLB-based body, according to factory insiders. 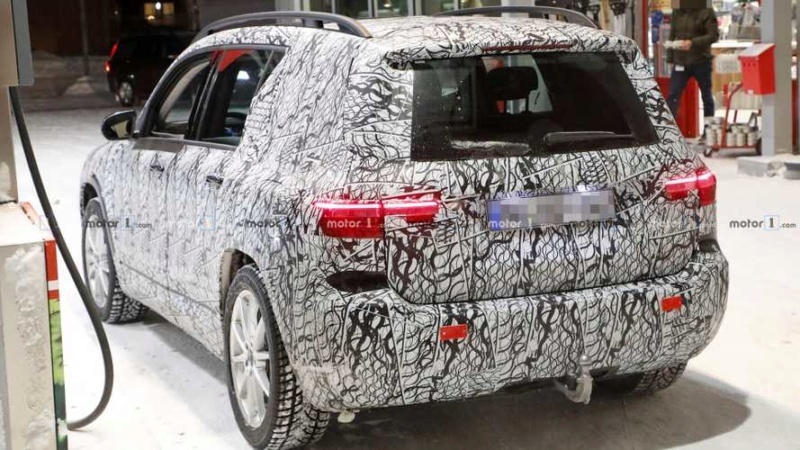 The new Mercedes-Benz SUV, which goes under the internal codename X247, has been conceived as a direct rival to the Audi Q3, BMW X1 and Lexus NX. 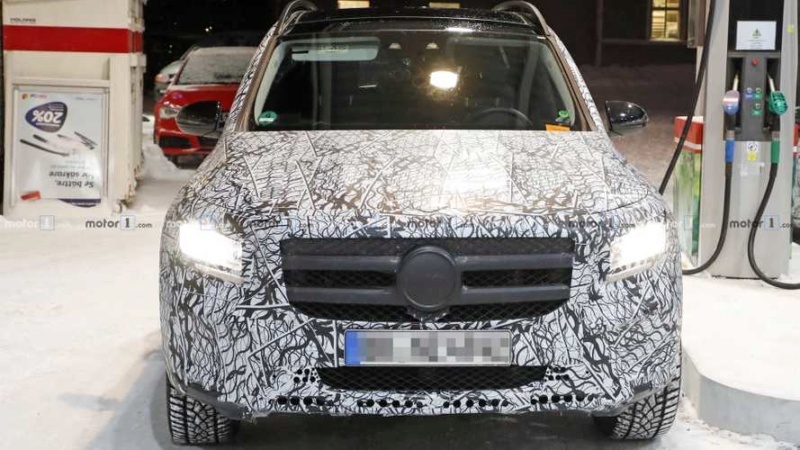 It will be priced and positioned above the existing GLA crossoverhatchback when it goes on sale in the UK early next year, following a planned unveiling at the Frankfurt motor show in September. A range of transversely mounted four-cylinder petrol and diesel engines is set to form the basis of the initial GLB line-up. However, it can be confirmed that both plug-in hybrid and pure electric systems will be added to the range shortly afterwards as part of a commitment to launch more than 130 electrified Mercedes-Benz modelsby the end of 2022. 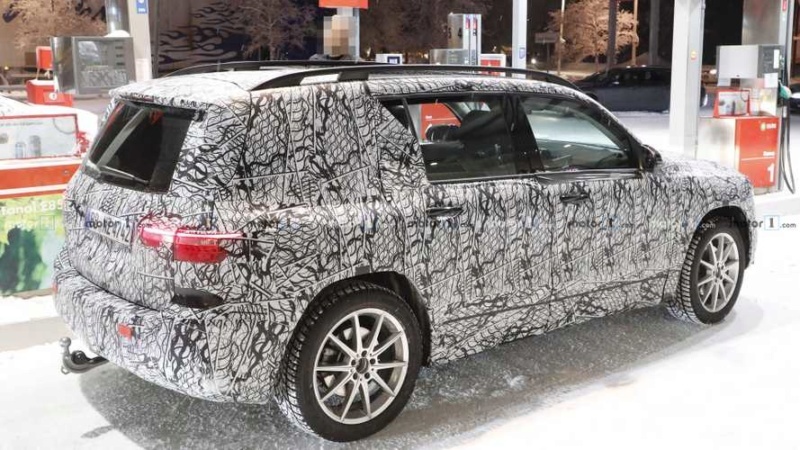 The GLB is the eighth model to be based around Mercedes-Benz’s MFA II platform and it shares its wheelbase with the China-only long-wheelbase A-Class saloon. At 2789mm, its wheelbase is 60mm longer than those of the other new A-Class models, while a relatively long rear overhang ensures the GLB provides more luggage space than today’s first-generation GLA. The GLB combines rugged exterior design elements from the iconic G-Class with the upright stance of the GLS. The angular appearance is intended to provide it with class-leading levels of interior space. Buyers will be able to choose between a standard five-seat and optional seven-seat layout. 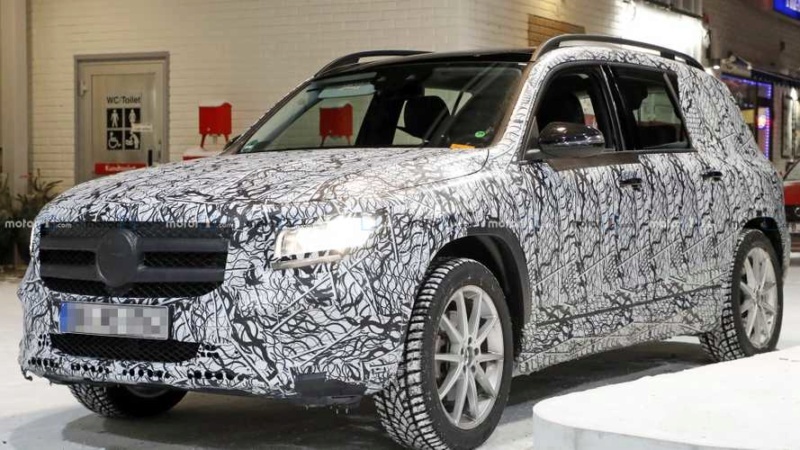 In a move similar to that undertaken with the larger GLCand its electrically powered EQ C sibling, the GLB will provide the basis for the zero-emission EQ B model. It will feature uniquely styled front and rear ends, dedicated wheel designs and other detailed design changes that are said to lower its drag co-efficient below 0.30. Inside, the dashboard is shared with other new A-Class models. 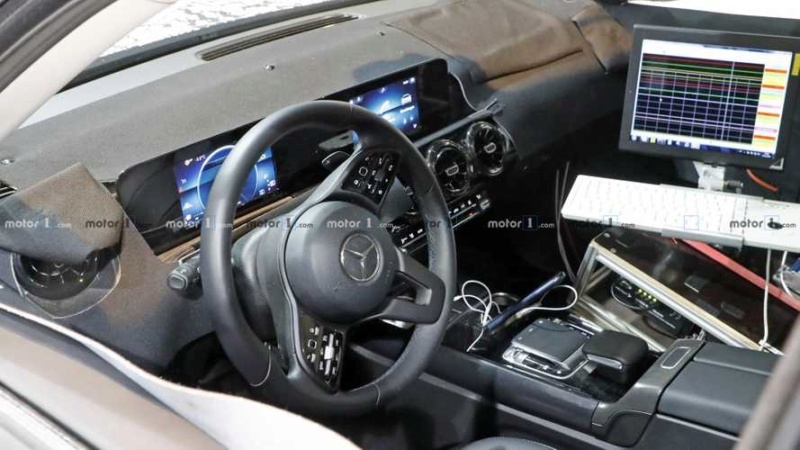 Along with digital instruments, its infotainment system supports Mercedes’ new MBUX operating system, which brings both standard touchscreen and optional speech control. It is expected that in the UK the GLB will be sold from the outset with 1.3-litre and 2.0-litre petrol engines developing 163bhp and 224bhp respectively in GLB200 and GLB250 models. Also scheduled for production is a version of the 2.0-litre petrol engine tuned to produce 302bhp in a range-topping GLB35 AMG model. The diesels will include 147bhp and 188bhp versions of the firm’s 2.0-litre unit in GLB 200d and GLB220d models. Alongside these traditional variants, Mercedes also plans to introduce a plug-in petrol-electric hybrid system boasting a claimed electric range of 62 miles. It will use a 2.0-litre four-cylinder petrol engine and gearbox-mounted electric motor to power the front wheels along with a second electric motor mounted within a ZF-produced rear axle assembly to power the rear wheels. Energy for the electric motors is provided by a lithium-ion battery packaged within the floor of the new compact SUV. Additionally, the German car maker is developing a fully electric driveline for the EQ B model. It is set for UK sales in 2021 and has been conceived to run a further-developed version of the electric driveline destined for the upcoming EQ A. It will use two electric motors – one powering the front wheels and the other driving the rear wheels. Little is known about this new model, but insiders say it will use a battery of at least 60kWh in capacity and will have a claimed range of around 310 miles. Oltre alla versione con motore a benzina/diesel e plug in Mercedes offrirà anche una versione completamente elettrica della GLB. Giovedì saranno presentate le foto spy ufficiali. E poi non si presentano ai saloni internazionali. Il mondo dell’auto sta andando in rovina. Foto spia della versione AMG, pensavo che l’avrebbero presentata ad inizio mese. Inutile ma almeno carino teaser. Per i cinesi e gli americani. La versione a 7 posti sarà offerta solo in Cina e negli USA.